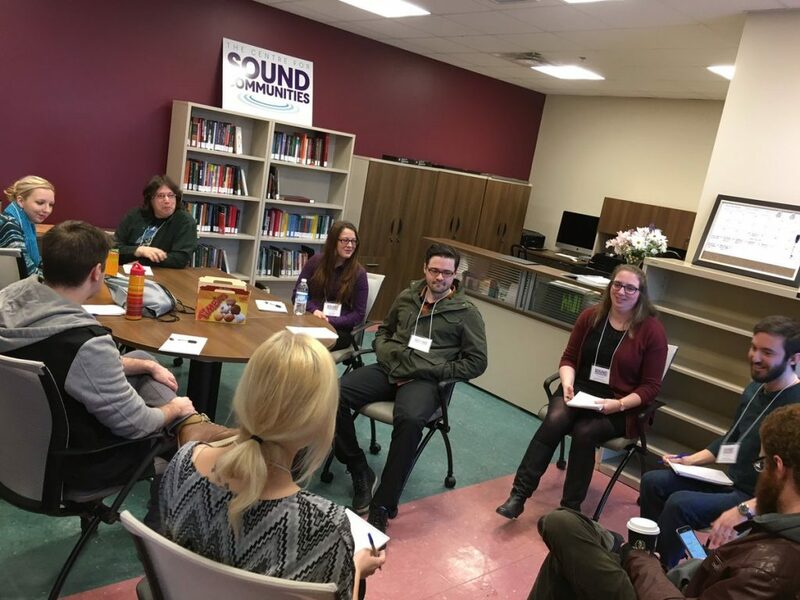 Today our ten digital interns began their orientation at the Centre for Sound Communities. We would like to congratulate and thank them for being a part of this project. We are really looking forward to getting started with such a great team! The orientation began with a warm welcome for our interns, an overview of the project, and then introductions, as well as icebreakers. Our Coordinator and Assistant Coordinator, Amy and Matt, took the interns on a tour of CBU campus to get to know the university. After lunch, interns took photographs and created biographies that can be found under the digital interns tab of our website. Later in the afternoon, the interns met one on one with their coordinators. Good luck to everyone who will be starting their WordPress training tomorrow, continuing through the week until Friday.